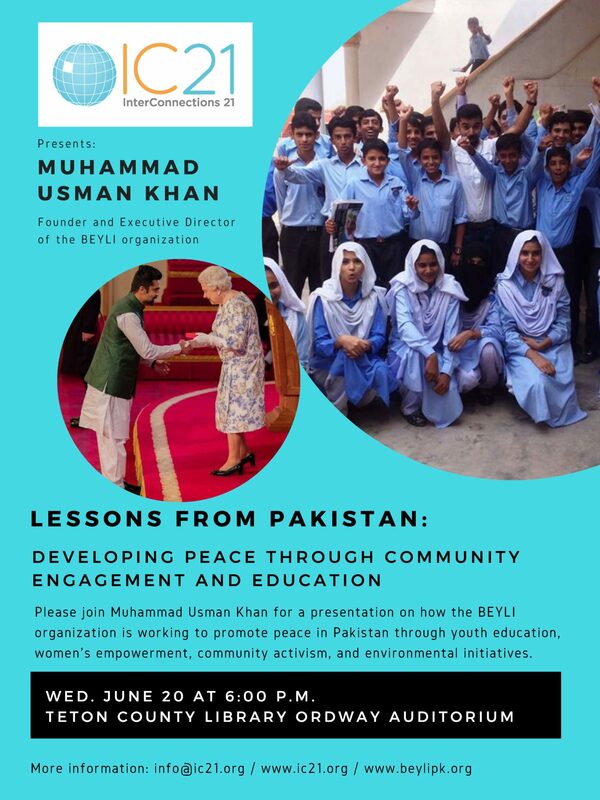 InterConnections 21 invites you to join us in welcoming Muhammad Usman Khan, Founder and Executive Director of the BEYLI organization in Pakistan, for his presentation: Lessons from Pakistan: Developing Peace through Community Engagement and Education. 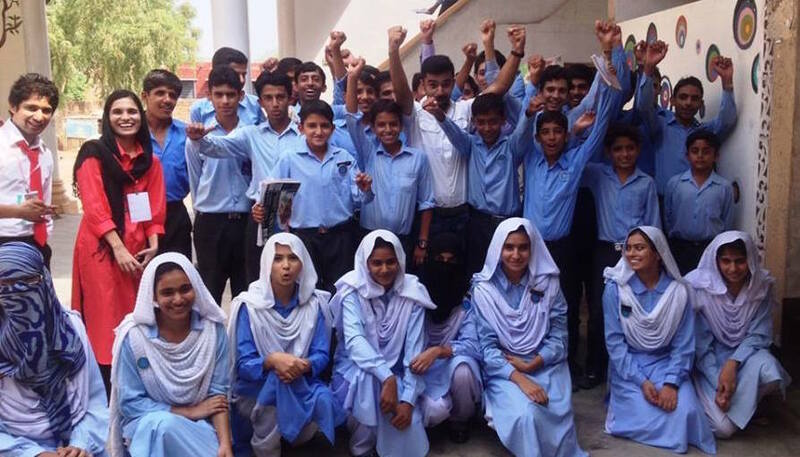 The BEYLI (Bringing Education to Youth & Learning Initiatives) organization works with youth and community members in rural Pakistan to promote education, women’s rights, political engagement, increased democracy, and environmental initiatives. Usman Khan has received numerous recognitions for his work, including being awarded a Queen’s Young Leader and United Nations Development Program (UNDP) Global Goals (SDGs) Champion. He is currently working with advisor Prof. Eric Van Genderen, from the University of Cambridge, on the My Vote-My Future Project leading up to critical elections in Pakistan this summer. When: Wednesday, June 20 from 6:00 p.m. – 7:30 p.m.